Munich, the largest city in southern Germany, is famous for its annual beer festival, Oktoberfest. But there’s a lot more to visiting Munich than drinking steins of beers. 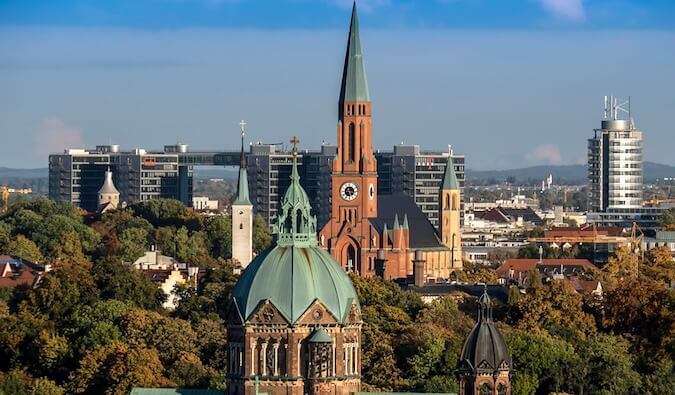 The city is host to a beautiful historic city center, large parks and gardens (with surfing), hearty German food, and beer halls filled with friendly people. There is also Munich’s famous clock, art collection, the palace, and the famous English Garden. The city wasn’t bombed during the war like Berlin so this city’s historical center is still visible, including the old castle! Over the years, I’ve grown to really like traveling Munich. It’s a place of beauty, art, and history. It may lack the youthful edge of Berlin but, to me, that’s a benefit! Traveling around Munich will give you a different look at German culture. The city has a lot to offer traveers and is also an incredible base for people visiting other places in Bavaria. 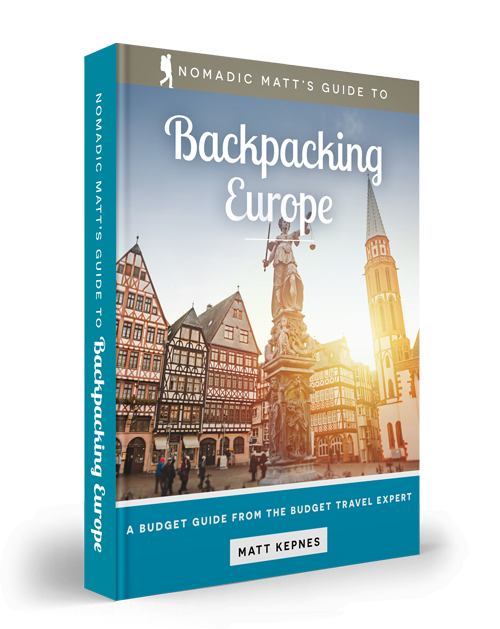 This Munich travel guide can help you plan your trip, get off the beaten path, and save some money! 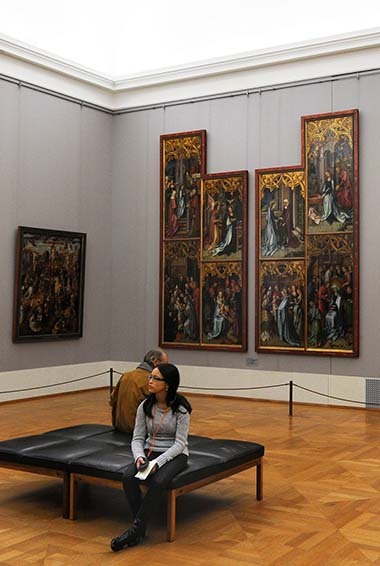 This important art museum is home to over 800 works from the 14th-18th centuries from the German masters. It features one of the world’s largest exhibits of Rubens’ paintings as well as works by Titian, Frans Hals, Altdorfer and Albrecht Dürer. Admission is €4 EUR/$5 USD (and €1 EUR/$1.15 USD on Sundays). The English Garden is a massive park that offers many places to picnic, hike, and relax. There are nearly 50 miles of trails here. Moreover, near the entrance is a river where people surf as the water flows out under the bridge. There’s also great beer garden in the center near the Chinese Tower where you can relax on a beautiful day. 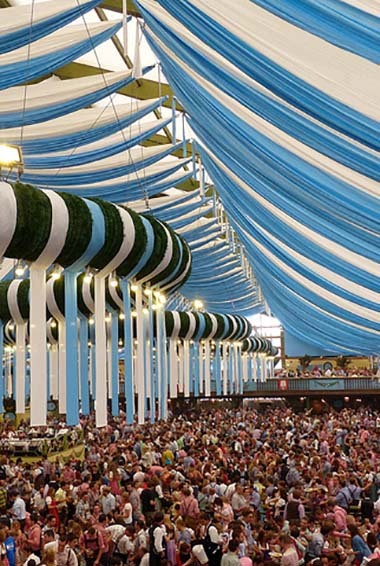 Oktoberfest is a two-week drinking festival that occurs at the end of September. Thousands of people descend on the city to spend the time dressed in Bavarian clothes, drink huge steins of beer, and eat face sized pretzels. I barely made it out alive! ‘Nuff said. Here’s an example. 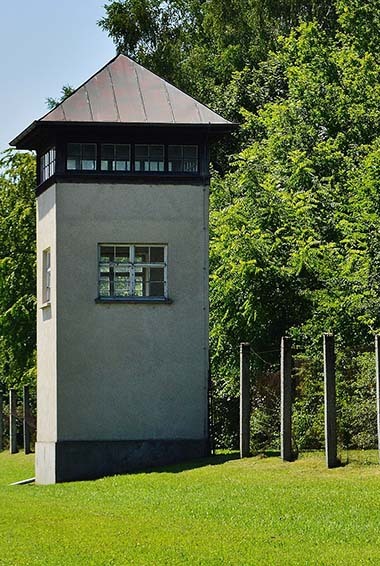 Dachau was the site of Germany’s first Nazi concentration camp. You can come explore and bear witness to this tragic episode in human history. It is a very sad place to visit and one that reminds us that evil wins when good men do nothing. It is located about 9 miles outside the city and takes a full day to see. Entry is free. This impressive baroque palace was the summer residence of Bavaria’s royalty. It features a lavishly decorated interior and a breathtaking banquet hall. The palace is also surrounded by extensive gardens. Two of its most famous features include the “Gallery of Beauties” commissioned by Ludwig I, as well as the former bedroom of King Ludwig II. Munich’s oldest parish church features art dating back six centuries, including ceiling frescoes and a giant gilded altar. You can climb the 299 steps for lovely views of the city from the tower. When it’s a clear day, you can see all the way to the Alps! Admission is €2 EUR ($2.25 USD). The BMW Museum is housed next to BMW’s head office in northern Munich. It features exhibits about the history of BMW cars and motorcycles with historic vehicles and prototypes, plus displays on alternative fuel and traffic management. If you take a tour, you’ll even get some behind-the-scenes views. It’s out of the city but if you’re a car lover, I highly recommend this place. Admission is €10 EUR ($11 USD), and discounts are available for seniors, students, and families. The world’s most famous beer hall is one of Munich’s top attractions and a visit here is a must if you love beer. The Hofbräuhaus was built by in 1607 and was originally used as a brewery. It was remodeled after the brewery moved to a new site in the suburbs. More than 100 active groups of regulars visit Hofbräuhaus, and the oldest regulars have held their table for 70 years. It’s the most popular beer hall during Octoberfest too, and regularly hosts year-round events and live music. This market is in the middle of the city and has a great choice of fresh fruit and vegetables, food stores, cheese, and antipasti. It’s a popular spot for the locals to shop. It’s not very expensive either so stock up here if you are cooking for yourself! One of the largest technical museums in the world, this museum is host to a huge array of exhibits. For anyone interested in construction, engineering, aerospace, and the natural sciences, this is a great attraction. You could easily spend the entire day here; there are sailing ships, windmill, space probes, robots, lifeboats…you name it. Admission is €11 EUR ($12 USD) for adults and €4 EUR ($5 USD) for students. The first of May is a public holiday in Germany, and every year, there is a festive erection of Maypoles all over the country. Small villages will go head to head, attempting to steal the maypole of rival villages. If one is stolen, it must be “purchased” back. There is always an interesting array of activities on this day, including plenty of music and dancing. This is a shopping area that stretches for several blocks between Marienplatz and Karlsplatz, and is exclusively designated for pedestrian traffic. There is a great mix of independent boutiques and large-scale department stores to peruse. When you get tired of shopping, there is a slew of restaurants, bars, cafes, and beer gardens to enjoy. Don’t be afraid to wander down some side alleys either – you’ll come across some interesting speciality shops! Considered to be one of the top attractions in Munich and Bavaria alike, this is also one of the best opera companies in the world. The pieces put on here are primarily composed by Mozart, Wagner, and Strauss. Seeing a show here is definitely one for the to-do list. Prices vary depending on what you see and when with tickets ranging from €10-200 EUR ($11-225 USD). 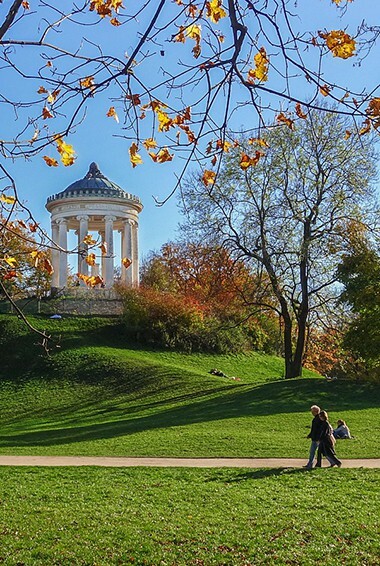 Olympiapark and the English Garden are two popular spots for rollerbladers — and there are more here than you might imagine, especially from May to August. Every Monday is “Blade Night” in the parks, which basically is code for a giant street party. You can rent skates for as little as €3 EUR ($3.40 USD). Munich Residenz is a grand palace complex of ten courtyards and 130 rooms. Due to is size, you might want to considering seeing it over several visits. There is a lot to take in! This place started out as a 14th-century castle for the Wittelsbach monarchs, and has since been filled with art. Make sure you see the Italian Renaissance Grotto courtyard and the Baroque Ancestral Gallery. Combination tickets for the Residence Museum + Treasury are €11 EUR ($13 USD). Munich’s town hall (the Neues Rathaus) on the Marienplatz was completed in 1874 and is now the focal point of the city. Its main attraction: the Glockenspiel, which has chimed each day at 11am, 12pm, and 5pm. Figurines from stories about Munich’s history twirl around in a fun show each time the clock chimes (like a giant cuckoo clock). The Asam Church is named for its 18th-century designers: two Asam brothers, a sculptor and a painter. Its Late Baroque interior is extravagant to say the least – the stuccowork along the church’s naive as well as the colorful frescoes make for some fantastic photography. Entrance is free. The Bavarian National Museum was inaugurated by King Maximilian II in 1855. Inside are 40+ rooms of decorative items dating from hundreds of years ago, like weapons, armour, porcelain, oil paintings, musical instruments, and more. Be sure to spend some time at the Bollert Collection with its impressive Late Gothic and Renaissance sculpture works from various Bavarian religious buildings. Admission is €7 EUR ($8 USD). Hostel prices – Dorm rooms cost between €15-30 EUR ($17-34 USD) a night, though you can usually find cheaper prices during the low season (winter). Private hostel rooms start around €60 EUR ($70 USD), which means you’re likely better off getting a hotel or using Airbnb. Free WiFi is standard, and a few hostels also include free breakfast. Self-catering facilities are not too common in the city’s hostels, so if you need a kitchen for your stay be sure to double check before you book. 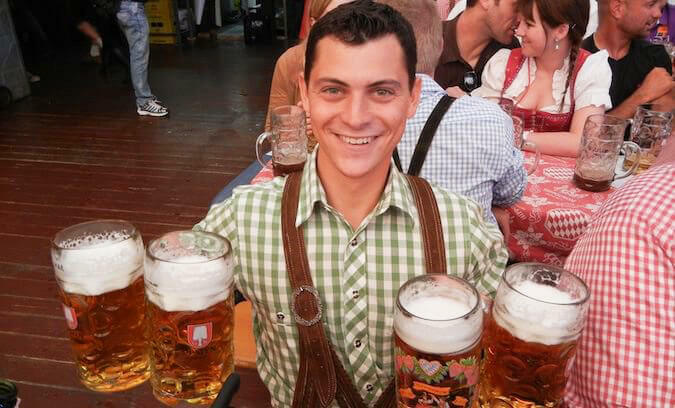 Be aware that prices double or triple during Oktoberfest, so book ahead if you’re hoping to have a good time. There are also a handful of campgrounds outside the city. They offer basic facilities and prices range from €5-10 EUR ($6-12 USD) per night. Budget hotel prices – Budget hotel prices begin around €60 EUR ($70 USD) per night for a double/twin room. WiFi is generally included, and in many cases so is free breakfast. If you plan on booking a hotel for Oktoberfest, you’ll need to book in well in advance (like months) as hotels will sell out. You’ll find a lot of listings in the city on Airbnb (though they are more expensive than in other parts of Germany) with shared accommodation starting €35 EUR ($40 USD) per night while entire homes/apartments begin around €80 EUR ($90 USD) per night. Average cost of food – As long as you don’t go to high-end restaurants, you can eat for under €18 EUR ($20 USD) for a sit-down meal (the beer halls provide the best value). Many restaurants have “Mittagsmenü”, or special prices for lunch on a working day, where you usually pay about €6-9 EUR ($7-11 USD) for really good food. McDonalds and other fast food places cost around €7 EUR ($8 USD). You can also get hot dogs and sausages from street vendors for €2-4 EUR ($3-5 USD). If you plan on cooking for yourself, a week’s worth of groceries will cost between €45-55 EUR ($50-60 USD). I really enjoy eating at the beer hall Augustiner Bräustuben. Munich can be a pretty expensive city. On a backpacker budget, you can expect to pay €55-65 EUR ($63-75 USD) by staying in a hostel dorm, eating out cheaply, cooking most of your meals, using an unlimited day pass on public transportation, and limiting your paid attractions. For a mid-range budget of €140-160 EUR ($160-170 USD) per day, you can afford to eat out more often, stay in a budget hotel or a private hostel room, taxis, drink more, and see more attractions. 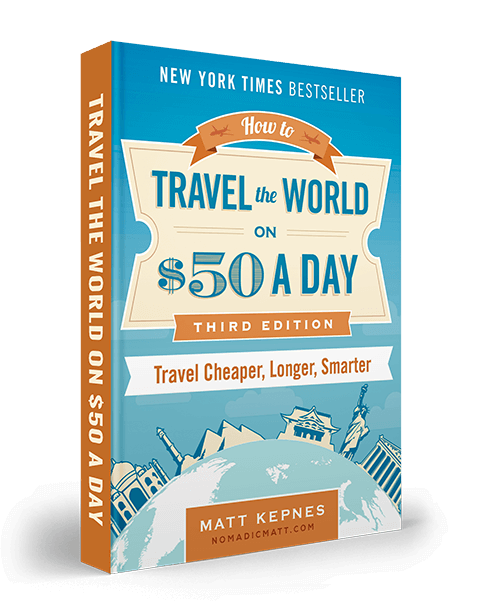 For a luxury budget of €250+ EUR ($280+ USD) per day, you can enjoy whatever food you want, stay at a 4-star hotel, take taxis to get around, and do any tours you want (including outside of the city). The sky is the limit on this budget. 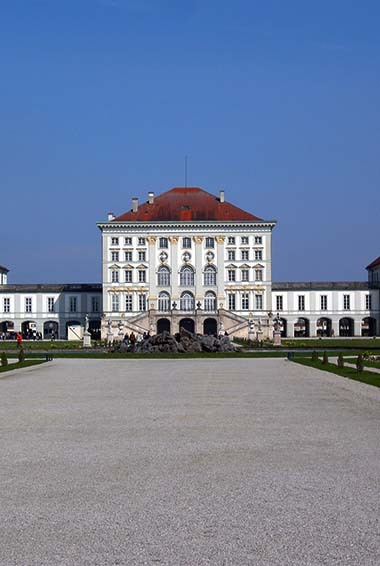 Visit the cheap museums – On Sundays, the Bavarian Museum is only €1 EUR ($1.15 USD), rather than €7 EUR ($8 USD). History buffs may enjoy this museum filled with old relics and artifacts. Eat cheap – The quick sausage stands and shwarma places offer a chance to eat really cheap for only €2-4 EUR ($2.25-5 USD). Food near the central train station is also inexpensive and quick. See a cheap movie – On Tuesday, it’s “Cinema-Day”, and movie tickets are cheaper (the big cinema at Stachus only is only €7-10 EUR/$8-11 USD). Also, student tickets for the opera or ballet are only €12 EUR ($14 USD). Cook your own meals – Eating at restaurants for every meal can really destroy your budget. Try and cook some of your meals to save yourself some cash! Free walking tours – New Europe Tours offers daily tours of the city, which cover all the top sites. The tours are in English and generally last a couple hours. They’re a great way to explore the city while learning about its history and culture. Best of all, they are free! Couchsurf – The best way to save money on accommodation is to stay with a local. Not only will you save a few bucks but you’ll get insider access to the city itself. This is the best way to discover all the hidden gems Munich has to offer! U-Bahn (Subway) – The U-Bahn is Munich’s underground train. S-Bahn (Above Ground Train) – The S-Bahn is just like the U-Bahn, but it will also take you to more places outside of the city like Freising or to the lake district in the south. Tram – The tram is available in most of Munich, although it’s not as quick as the U-Bahn or S-Bahn. Bus – Buses will take you all over the city. If you have to switch from the tram to the subway in one journey, you can do so with a singular ticket. Just keep in mind that the fare increases per how many zones you travel through. Donkey Republic is the most convenient, as you can locate bikes around the city and unlock them once you pay a fee (€14 EUR/$16 USD per day). Taxi – Taxis aren’t cheap in Munich, and they have some of the highest tariffs in Germany. The base rate is €3.70 EUR ($4.20 USD) plus an additional €1.90 EUR ($2.15 USD) per kilometer. 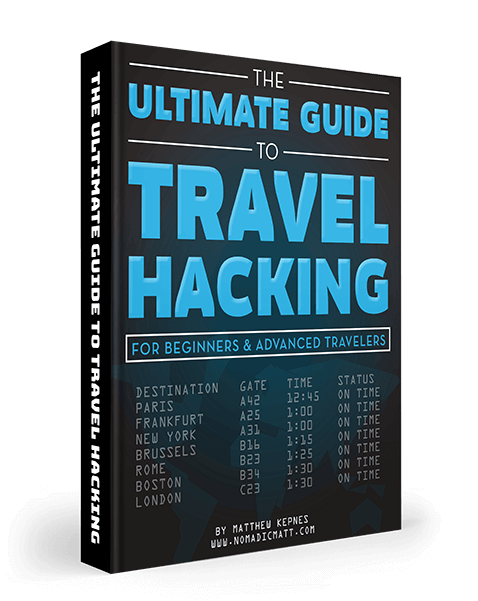 Intercity Travel – Intercity buses and trains are also available, though they can be pricey. 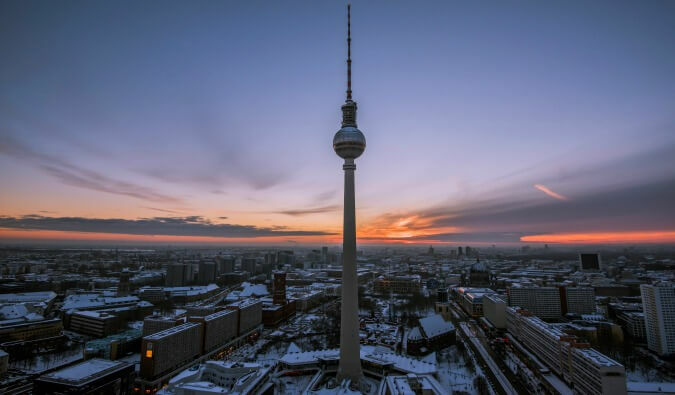 Munich to Berlin costs you between €25-35 EUR ($30-40 USD) for a bus or €100-140 EUR ($115-160 USD) for a train; Munich to Cologne costs €30-50 EUR ($35-55 USD) for a bus or €95-140 EUR ($105-160 USD) for a train. Tickets are always cheapest when booked in advance, so try to get your ticket early. Munich has so much going on year-round, it’s always a good time to visit. Spring is a nice time to visit because flea markets are reopening and there are several festivals that take place during this time (like Wannda – an arts festival). However, the weather can sometimes be cold and rainy. You’ll want to pack some layers and rain gear. Summer tends to be the most popular time to visit – temperatures are hot, and everyone’s outdoors enjoying it. People flock to beer gardens, or to the nearby lakes for some swimming. This is also the peak season, when accommodations are much higher. During this time, temperatures are usually around 75°F (24°C) or higher. Thanks to famous Oktoberfest, autumn is also a very popular time to visit. From the end of September to early October, millions of people flock here from all over the world to enjoy the most epic beer-drinking festival in the world. The weather during this time is usually just as pleasant as summer. If you’re planning on attending Oktoberfest, book your accommodations in advance. Way, way in advance. If you want to avoid the chaos, come in early September or late October. Winter in Munich can be cold (with temperatures as low as 23°F/-5°C), but Germany is well known for its Christmas spirit and the markets in Munich are no exception. The weather is more unpredictable, and you should prepare for snowfall, but there are plenty of places around the city for sledding, skiing, etc. You’ll pay a lot less for accommodations during this time. 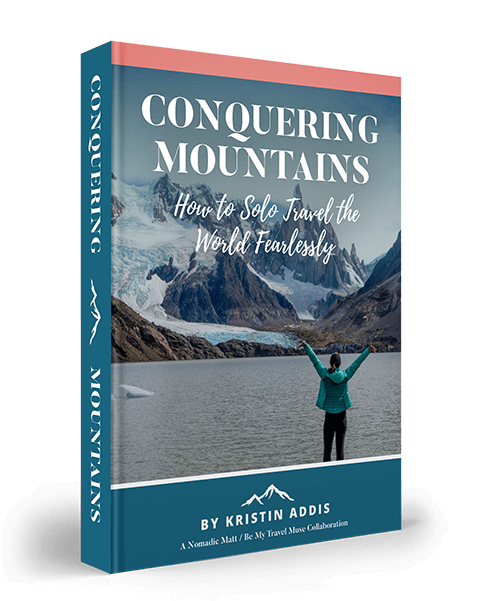 Due to a high-profile terrorist attacks and riots across Europe and ongoing media coverage, I often get asked if it’s safe to travel to Europe (including Munich). Munich is no more dangerous (probably even less so) than any other place in the world. I wrote a whole article about how Europe is safe to visit right now. Check it out. These are my favorite companies to use when I travel to Munich. They are included here because they consistently find deals, offer world-class customer service and great value, and overall, are better than their competitors. They are the ones I use the most and are always the starting points in my search for travel deals. 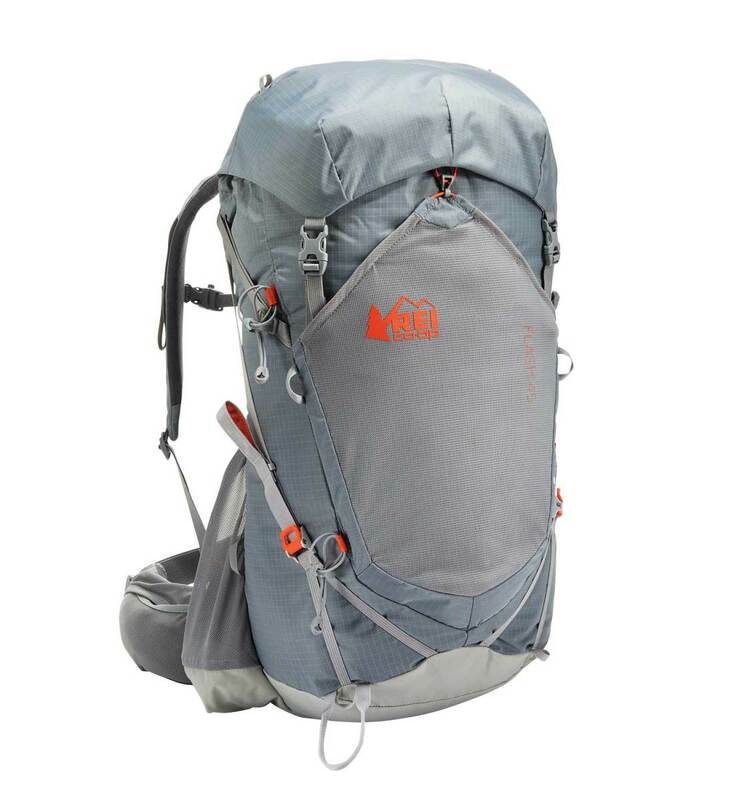 If you’re heading to Munich, here are my suggestions for the best travel backpack and tips on what to pack. 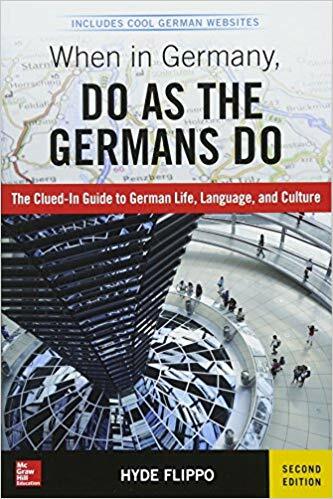 This light-hearted, tongue-in-cheek read will have you feeling confident about fitting into Germany! (Or at least you’ll have some good laughs in the process.) It’s like a crash course in German tradition and customs so you can navigate Munich (and the rest of the country) without embarrassment. Topics include appropriate small talk subjects, how to tell the difference between sausages, and also more practical things like what to do in case of an emergency. 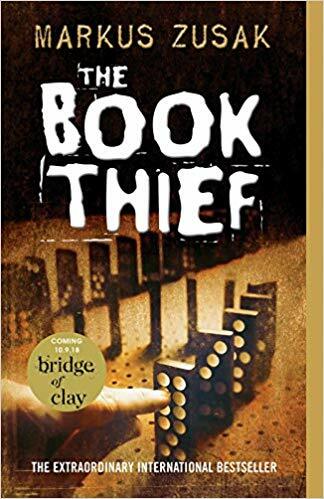 This book was an instant classic when it came out, and now it’s a movie. It’s about Liesel Meminger, a young girl living just outside of Munich in 1939. Nazi Germany is in full force, and little Liesel manages to keep herself alive by stealing. There’s one thing she can’t resist, though: books. She learns to read and then shares her stolen books with neighbors during air raids…as well as the Jewish man hidden in her basement. This book will stay with you long after you’ve finished it. 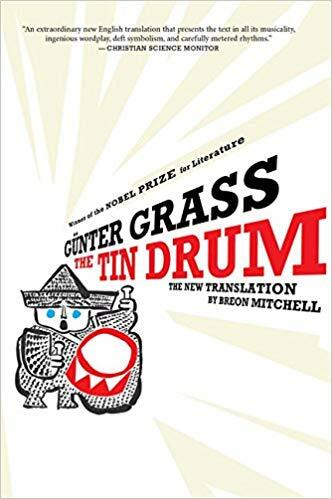 The Tin Drum is a huge deal in Germany, and it’s definitely considered a classic there. In short, it’s about Oskar Matzerath: a young boy who stops growing when he’s a child and takes up drumming instead. This is Oskar’s narration from an insane asylum as he recounts his life of a young boy who stands up against the Nazis – armed only with his tin drum and his piercing voice. Using his drum, he recalls memories from the past – including the strange death of his mother, and his equally strange deaths of his father(s). It’s dark, twisted, and so very weird.